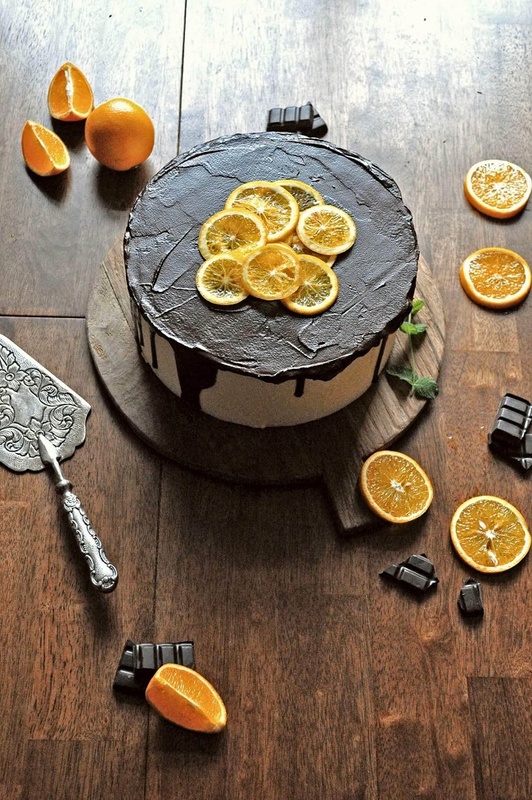 I adore this decadent salted chocolate and orange cake recipe, it’s a real grown-ups dessert, a good one to practice and perfect for showing off at dinner parties! The dark chocolate ganache drip always looks amazing, finished with orange slices, fresh berries and a dollop of whipped cream, you can’t possibly go wrong! 1. Beat your butter in an electric stand mixer or using an electric whisk until light and fluffy. 2. On a low speed, gradually add your sifted icing sugar. 3. Increase the speed and beat your buttercream for a further 5 minutes, add a tablespoon of milk for a lighter consistency. 4. Cover and set aside. 1. Preheat your oven to 180 degrees Celsius/ gas mark 6, line a 10 inch round cake tin with non-stick grease proof paper and set aside. 2. Over a bain maire, melt together the chocolate, butter and salt, then remove from the heat and set aside. 3. In an electric stand mixer or large bowl beat together the egg yolks and sugar until pale and fluffy, then fold in your vanilla and orange rind. 4. In a clean, dry bowl whisk your egg whites until soft peaks are formed. 5. Fold the melted chocolate mixture into the egg yolk mixture until fully incorporated, next fold in your sifted cocoa, flour and baking powder. 6. Stir a tablespoon of the beaten egg whites into your cake mixture then gradually fold in the remaining egg whites until just incorporated. 7. Transfer to your lined cake tin, bake for approximately 30 minutes- the centre of the cake should wobble slightly, leave cool in the tin for 10 mins before transferring to a wire rack. 8. Once your cake has cooled completely, using a palate knife, smooth your buttercream on the sides and top of your cake. Transfer your cake to the fridge and prepare you chocolate ganache – In a sauce pan, heat your cream to a simmer. Pour your cream over your chocolate and stir until fully incorporated. 9. Once your chocolate ganache is ready remove your cake from the fridge and pour your ganache over the surface of your cake, use a palette knife to drip the ganache over the sides of your cake. 10. Top your cake with orange slices and enjoy! Photography by Ola Ngaditono of Wild Seed Photography. The Flour Artist was created in 2015 by Julie Reardon, a Dublin based baker. After graduating from a BA in culinary arts, Julie continued working in restaurants as a pastry chef under some incredible mentors such as, Brian Walsh owner and chef of the successful Pigeon House Clontarf and John and Sandy Wyer of Forest Avenue. 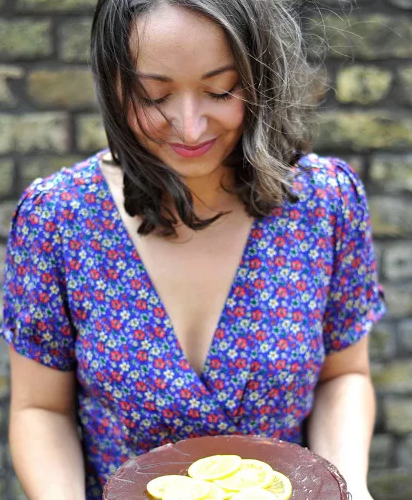 Once Julie had gained some invaluable experience she went on to work for the talented Caryna Camerino founder of Caryna’s Cakes and the award winning Camerino Bakery, here is where she developed a new set of skills and a passion for cake decorating, and so in 2015 The Flour Artist was created. From the outset Julie’s ethos has been to create unique and natural cakes, using primarily buttercream, fresh flowers and fruits in her creations. Sourcing where possible seasonal, local and free range produce which is reflected in her baking.